Submitted by DrA on 2018-11-16 12:29. 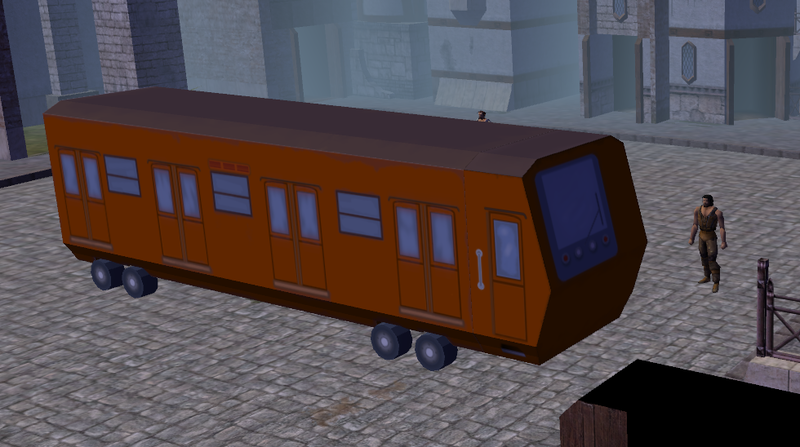 Two metro car models (or carriages for an underground train, as TR pointed out)., suitable for modern enviroment.The idea was suggested by Subotai. There are two files in this download: ready-to-use hak, and models with textures (so you can add them to your own compilation). The hak is created for NWN 1.69 and compatibile with the newest wersion of CEP. Should work with EE too. I've added textures in TGA format to make the models more convenient for editing. In the UK a metro car is an automobile made by Austin. Also in the UK what you have made would be known as a carriage for an underground train. I stay corrected . There are naming differences even between countries, where English is native language. Still, an automobile called "metro car" was quite surprising, thanks for this bit of information, that was funny. Very interesting, maybe you could make a version of them that move and that can be activated via scripts, like ships and flying vessels of this hak. 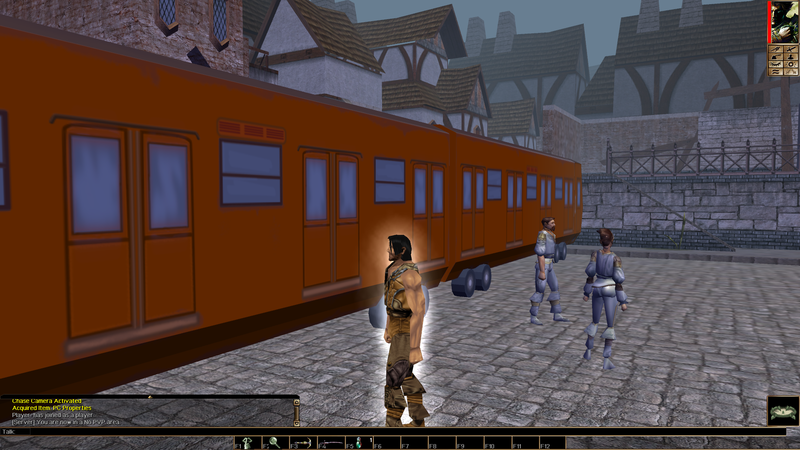 https://neverwintervault.org/sites/all/modules/pubdlcnt/pubdlcnt.php?file=https://neverwintervault.org/sites/neverwintervault.org/files/project/1463/files/animation_path_tutorial.7z&nid=1463 So, I believe that it´s possible! Nice work, hope to play the module. There aren't many modern-settings modules available.